Acronis Drive Cleanser is a product developed by Acronis. We know of version 6.0. Version 6.0.701 is downloadable at our site. 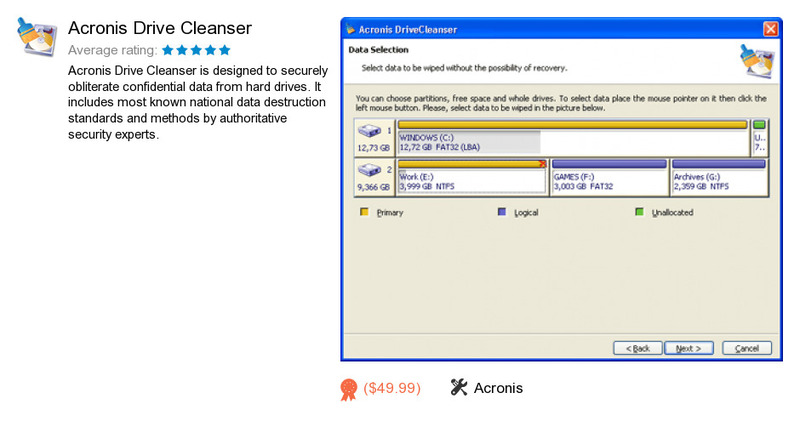 Acronis Drive Cleanser package has a size of 34,067,082 bytes. Acronis also publishes Acronis Privacy Expert Suite and AcronisDiskDirectorHome.